After spending the night in a comfortable motel in Bend, Oregon, Zosia Zgolak and I visited nearby Pine Mountain on 16 October 2017. 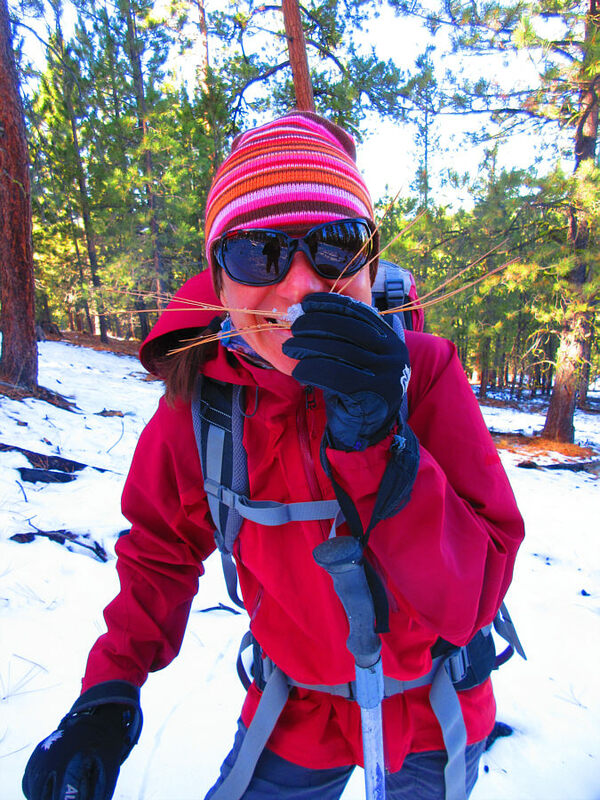 We originally had plans to hike up a volcano in the Cascade Range to the west, but deep snow blanketing the area forced us to reconsider and change objectives. 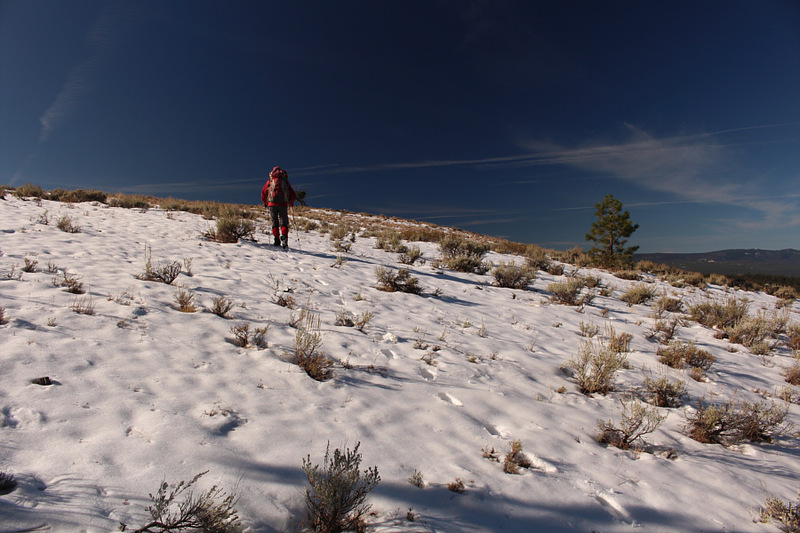 Our main goal on this day was to drive east into southwestern Idaho, but the short detour to Pine Mountain gave us a chance to stretch our legs a bit and tag a named summit. 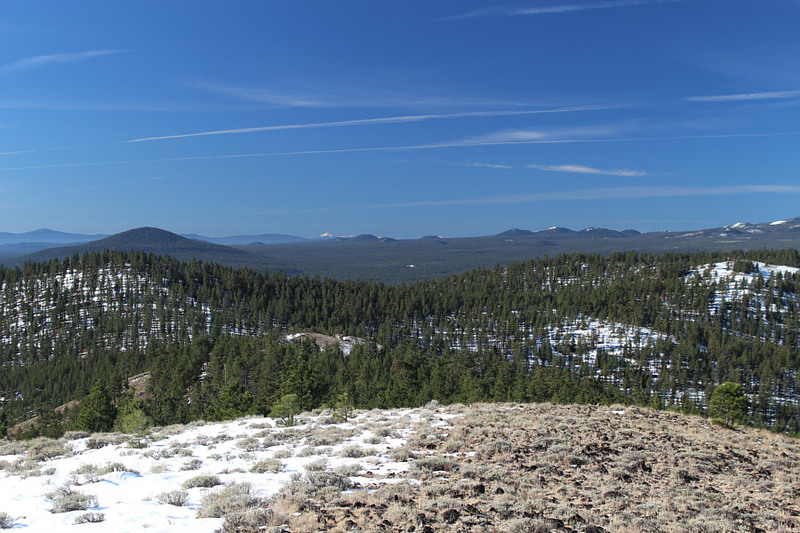 The turnoff to Pine Mountain is about 35 kilometres east of Bend's city limits along US Highway 20. 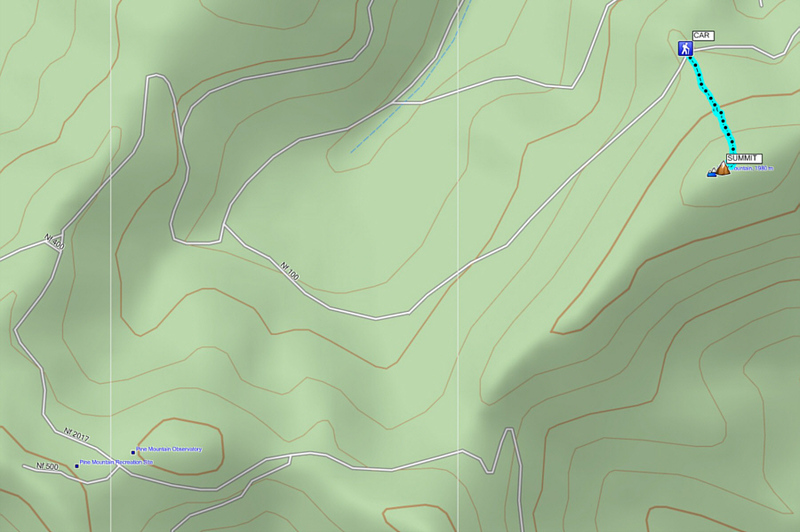 A good gravel road (NF-2017) leads to an astronomical observatory on the mountain, but just before reaching the observatory, we turned left onto a narrower road (NF-100) that traverses below the north side of the highest summit. We parked near a scenic landing only a few hundred metres north of the summit, and the only notable challenge we had on our short hike was dodging the numerous cow pies scattered all over the hillside. While we could have extended our hike to several other high points or even to the observatory, the long drive we still had ahead of us prompted us to simply return to our car and hit the road. 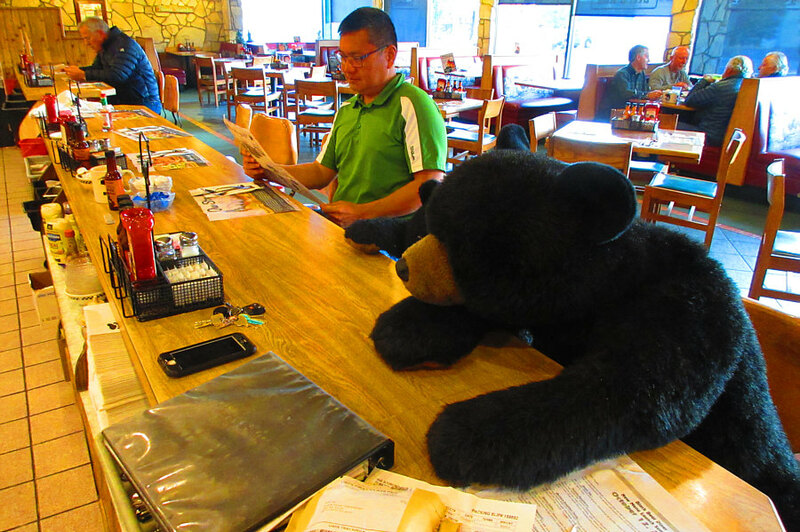 Sonny stops at the Black Bear Diner in Bend, Oregon to order some breakfast. 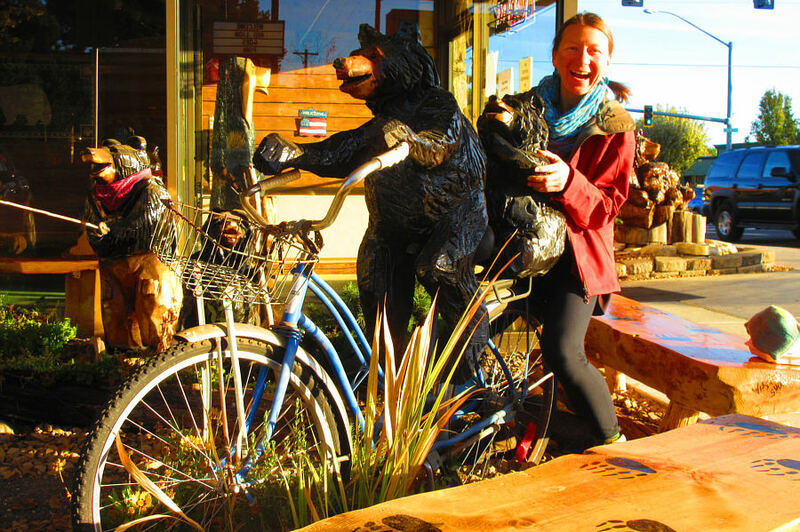 Zosia goes for a bike ride with some friends outside the Black Bear Diner. 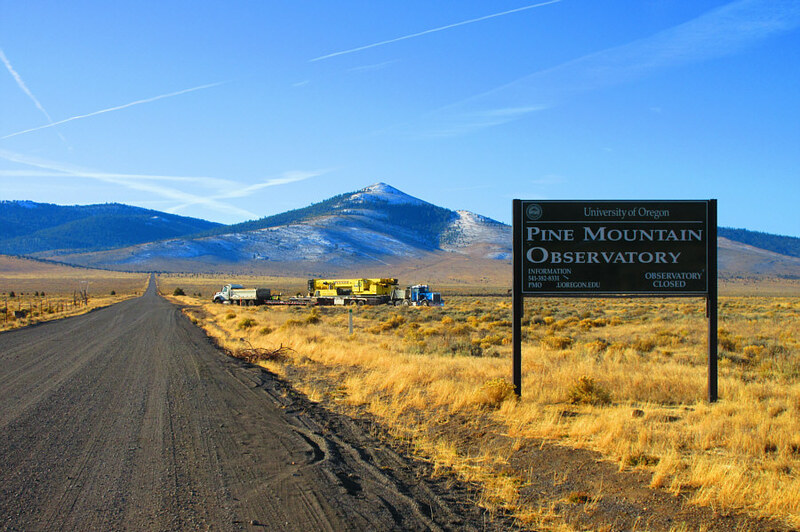 A sign marks the access road to Pine Mountain and its associated observatory. The peak at centre is an outlier and is not the highest summit. Zosia enjoys easy hiking through the light forest on Pine Mountain. 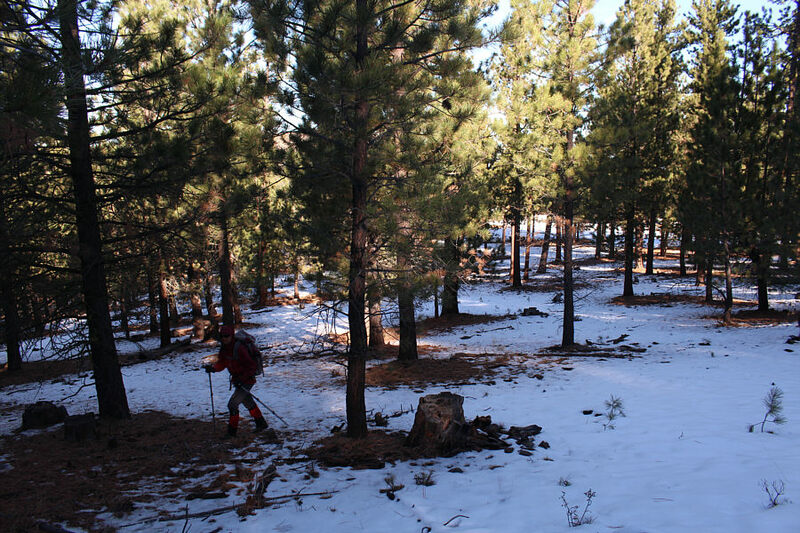 After breaking out of the trees, Zosia is only a short distance from the highest summit of Pine Mountain. 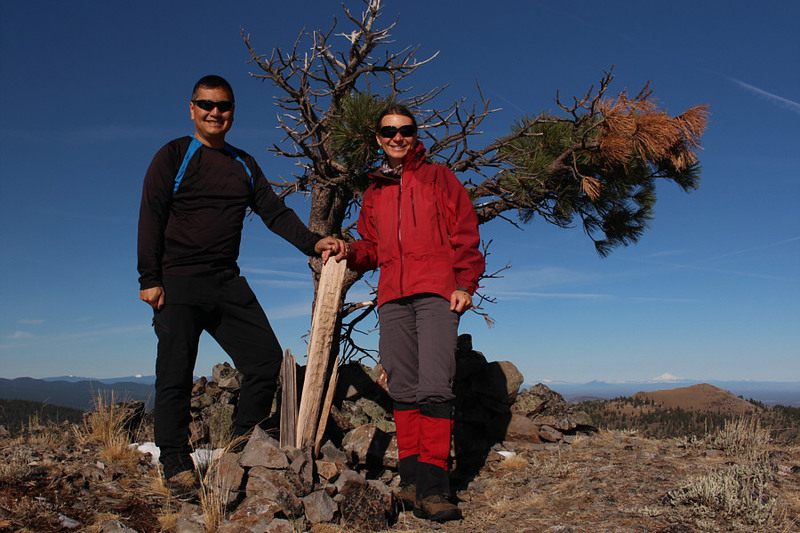 Sonny and Zosia stand next to a wooden stick marking the highest summit of Pine Mountain (1984 metres). Besides the forested hump of China Hat (far left), the most noticeable landmark to the southwest is the white-capped peak on the horizon just left of centre. 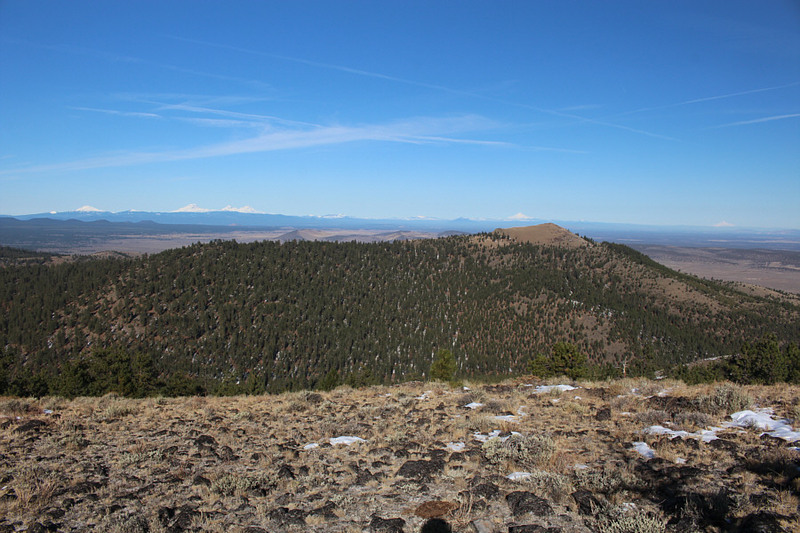 This distant peak is Mount Scott, the highest point in Crater Lake National Park. 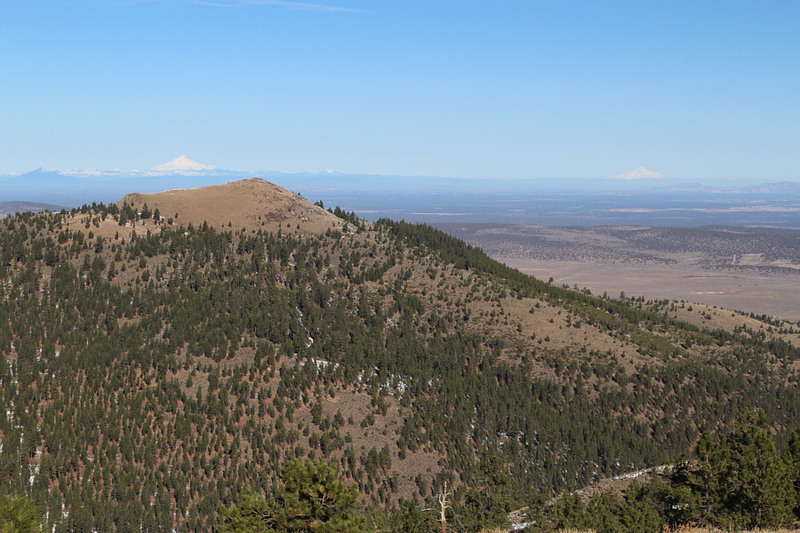 The Pine Mountain Observatory is located just behind the snowy hill in the foreground at far right. 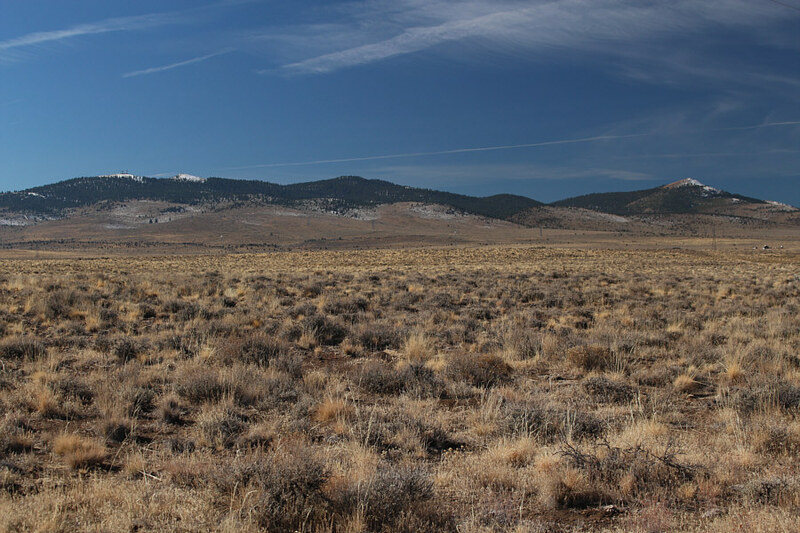 Northwest of the highest summit is the outlier that appears to be the high point of Pine Mountain when approaching from the highway. 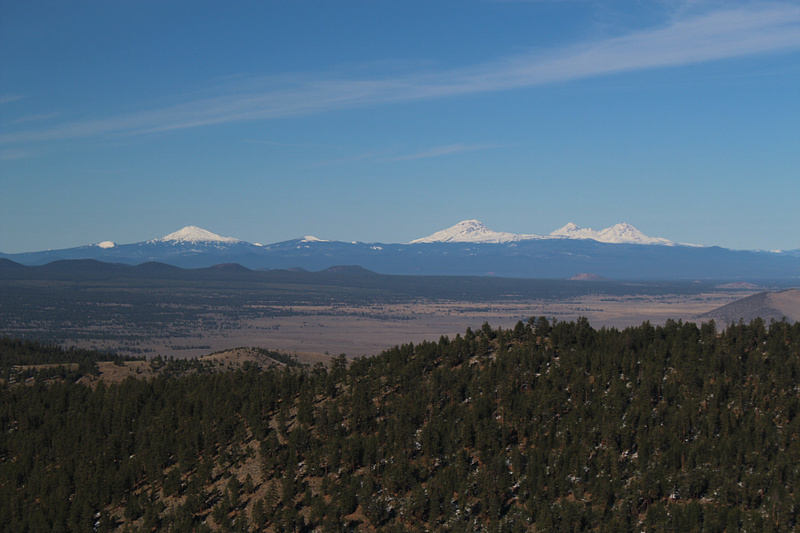 Stretched across the western horizon are Mount Bachelor (left) and The Three Sisters (South, Middle and North). 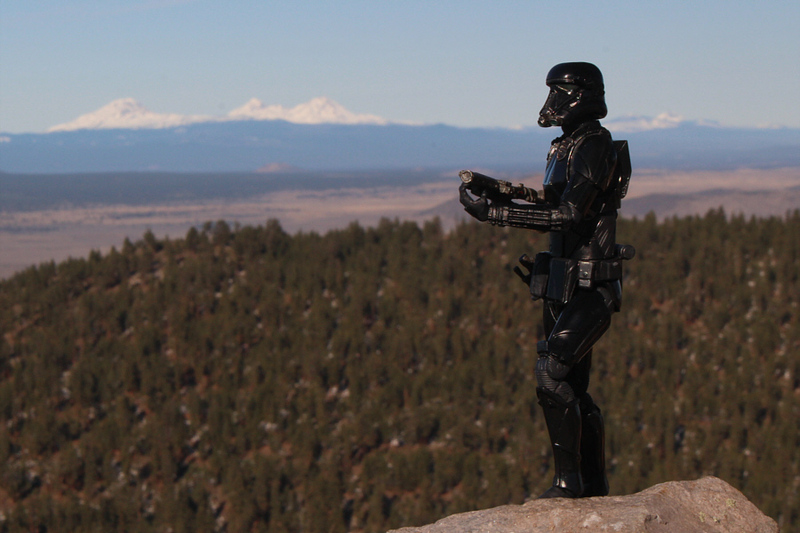 Beyond the outlier, Mount Jefferson and Mount Hood are visible on the horizon to the northwest. Zosia grows some pine whiskers. Here is a look back at the many ridges of Pine Mountain from US Highway 20.